Are your children reaching the age when they want to go sailing in a Laser by themselves? Does your husband or wife fancy the occasional sail in your Laser? When you drive 2 hours to get to the water have you found it is too windy for you to go sailing? Maybe you are too light to sail the Laser with the Standard rig? The Laser Formula is the answer to all these questions. 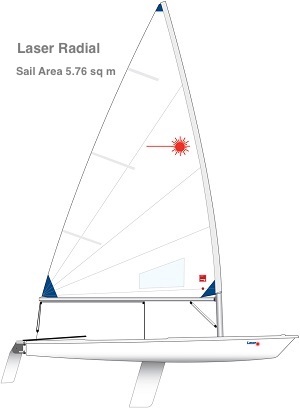 By changing only the sail and lower mast the Laser can be sailed comfortably in all wind conditions and provide exciting but controlled sailing for any sailor weighing as little as 35 kg. 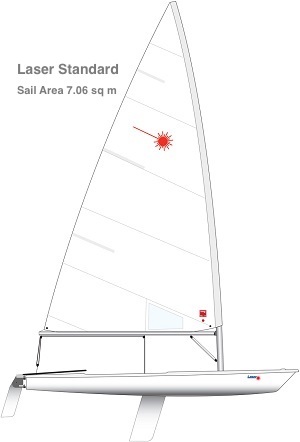 The Laser Formula is a 3 rig option that has been adopted by a number of sailing schools as a simple and economical way to keep sailing in all winds and reduce the amount of ‘down time’. The Laser 4.7 uses a short pre-bent lower mast to maintain a balanced helm and a sail area that is 35% smaller than the Laser Standard. It is ideal for learning to sail or for the lighter weight sailor graduating from Optimist. The Laser Radial is the next step up. 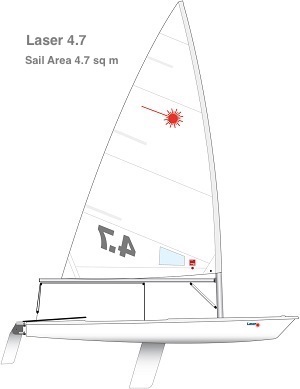 It uses a more flexible and slightly shorter lower mast together with a sail area 18% smaller than the Laser Standard. The Laser Radial has a large following with national and international regattas and World Open &Youth Championships attracting as many countries and competitors as the Laser Standard Rig. As well as a strong following amongst lighter weight sailors the Laser Radial is also used for youth, women and masters racing. Many countries now support a full Laser Radial Youth programme and in a survey of national yachting authorities conducted by the International Sailing Federation the majority replied that the Laser Radial was their preferred youth boat. The Laser Standard can be sailed by any weight in light winds, but as the wind increases it is better suited to higher sailor weights. Apart from the strong second hand market in Lasers with the Laser Standard rig, there is an even stronger second hand market for Laser Radial and Laser 4.7 lower mast and sails as a separate package from the hull.